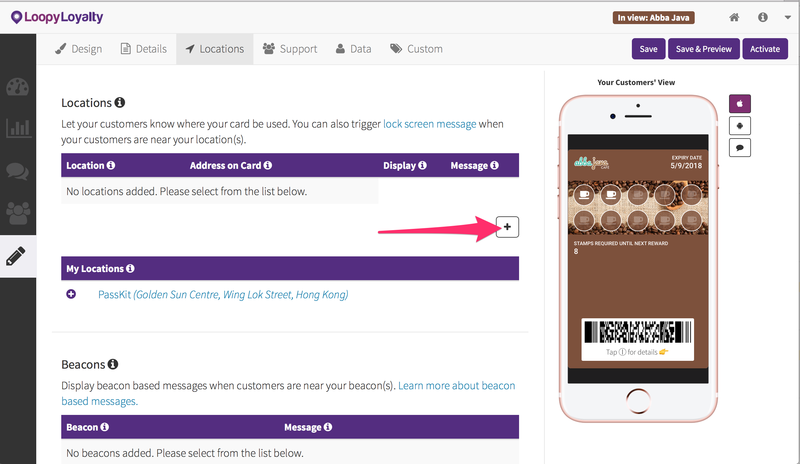 Learn how to add locations and beacons to your digital stamp card. 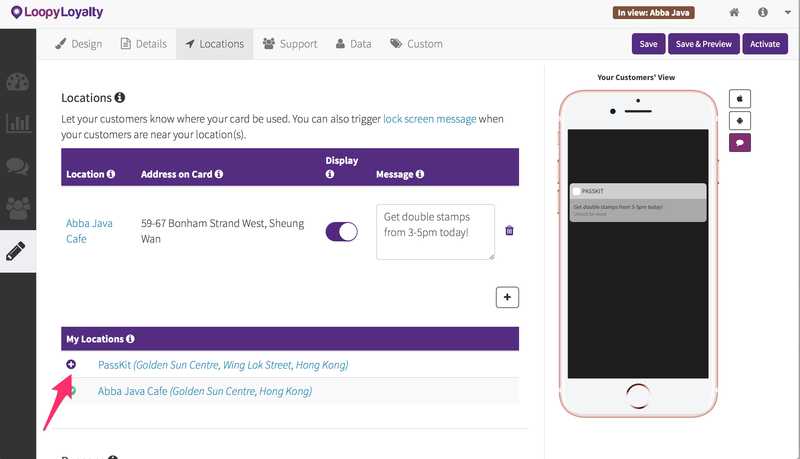 Let your customers know where your digital stamp card can be used and trigger location based messages when customers are near your location(s). 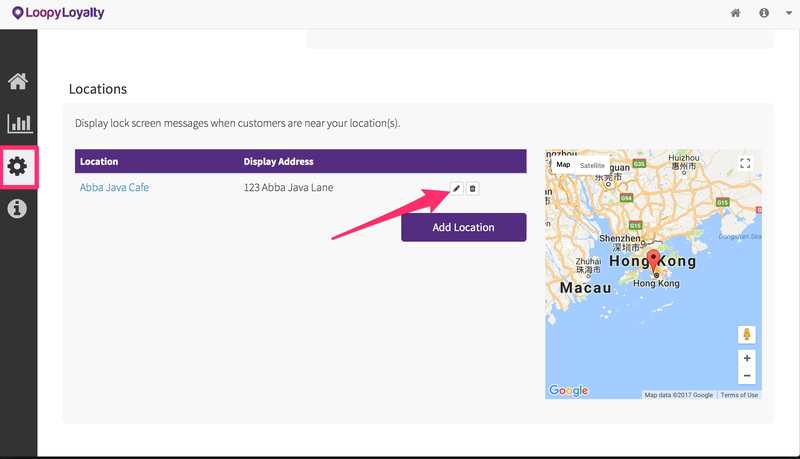 1 - Click on the plus icon to add a location. 2a - Add your location details and click on 'Create Location'. Location name: Name of your location (e.g. Abba Java Cafe). Search for location by address: This address will be used to trigger lock screen messages. Address to display: The address that will be displayed on your digital stamp card (if you choose to display an address). 2b - If you already have locations set up, you can simply tap on the plus icon to add the location to this card. 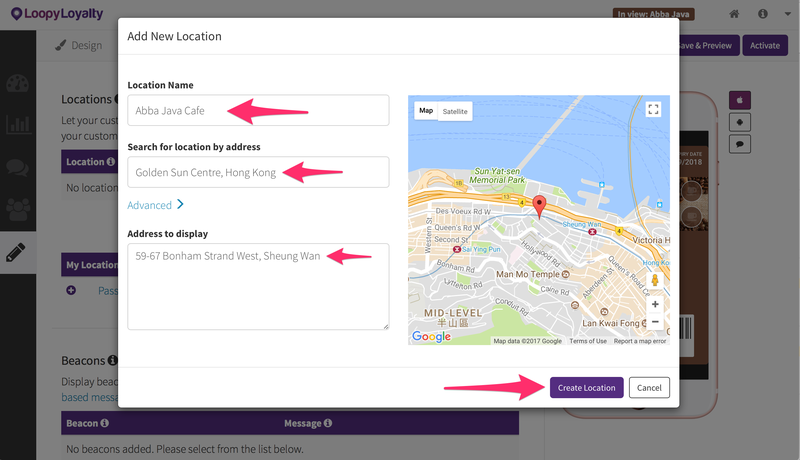 Note: You will need to go back to 'Settings' and 'Locations' to modify the address to display. 3 - Toggle the 'Display' to show this location on your digital stamp card. 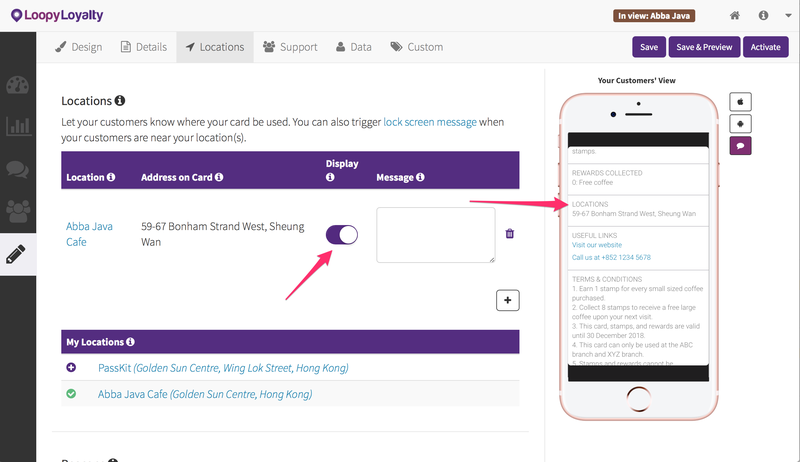 4 - Optional: add a message to display on the lock screen when customers are near this location.